Abishov, first, I am just wondering, why has your article “Pro-Armenian bias of the Political and Social Research Institute for the Black Sea and the Caspian Region” made the director of the institute, Vladimir Zakharov, so anxious? Abishov – Vladimir Zakharov is the director and professor of the Political and Social Research Institute for the Black Sea and the Caspian Region, established in 2009. However, a glance at the composition of the staff of this institute that deals with the Caucasus issues reveals that they are mostly Armenians and Russians. No representatives from other post-Soviet countries and Azerbaijan at this institute. You may wonder why this fact attracted my attention. They have published several booklets about the Caucasus. These booklets contain completely wrong facts about the history of Azerbaijan, its contemporary position and Karabakh. Vladimir Zakharov is not an ordinary person. He is a visiting professor and lectures at various universities, contributes to scientific publications and is active on the Internet. However, a closer look reveals that his immediate target is Azerbaijan. I was anxious about false and offensive information on Azerbaijan, our history, nation and culture in his books published from 2010 to 2012. Therefore, I wrote an article based on historical facts and distributed it on the Internet, saying that books published under the auspices of the Institute and edited by Zakharov contain discrepancies about our country. I also advised them to appeal to Russian historians and Russian documents in order to rectify the irregularities. I told them that given this, you will see that you are wrong and already do politics. I even wrote that it would be more appropriate to brand the institute as the Armenian one, and based on the facts, I indicated that this organization serves the interests of Armenia. I have not used any offensive language. Simply, with reference to quotes from Russian scholars and archive, I have stated that their position is wrong. For his part, in his journal and a website of the organization, Vladimir Zakharov published a 20-page article in “reply” to my article. In his article, instead of disproving historical documents that I cited, he took no notice of them and he insulted my personality and blasphemed against our country. The most interesting is that our articles reveal genocide committed by Armenians, their arrival in the region with quotes from official documents and comments on them. Above all, our article unmasks positions of Armenians and the Russian scholars that support them. I have written that history is about the truth and the truth will sooner or later come to light. Now instead of separating history from falsehood, some Russian scholars hand in hand with Armenians are busy with throwing dirt at the Azerbaijani history. This policy continues even today, books and articles falsifying our history are published in Russia and distributed worldwide. And it is impossible to prevent them all with a single article and this should be systematized. What enraged Zakharov was that the authentic intention of the books published by his institute was unmasked. Therefore, he demonstrated such an aggressive reaction. 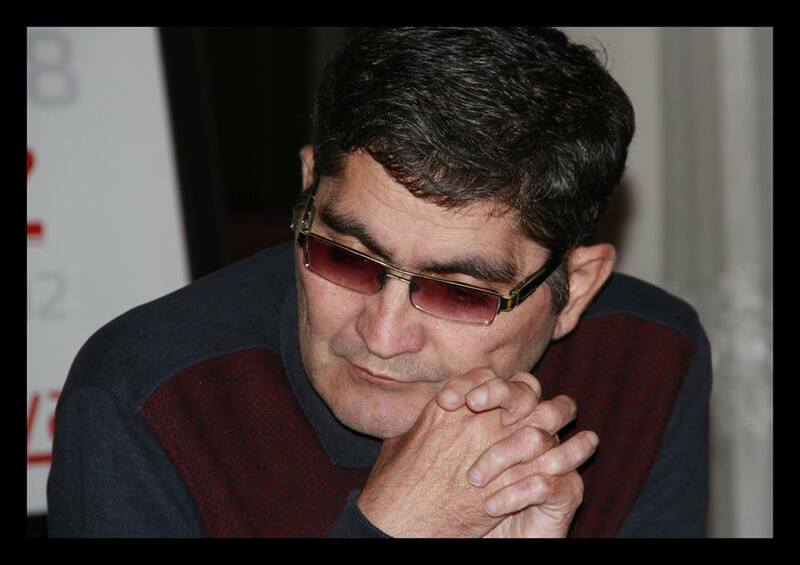 You are also an author of books about the 1918 massacres in Iran (southern Azerbaijan). Armenians, who claim to Turkish and Azerbaijani lands, were committing massacres in these territories. We wonder, what was the purpose of the Armenian massacres on the Iranian territory? – Armenians had committed massacres tantamount to the genocide in Turkey and northern Azerbaijan. Even Persian historical sources, some Armenian scholars, as well American scholar McCartney acknowledge in their books that more Turkic people than Armenians were killed during that period. Quite a lot of academic research was done and books were written to this end both in Azerbaijan and in Turkey. The massacre of Turkic-speaking Muslims in the southern Azerbaijan, on the territory of Iran should be considered as a link of the whole range of events. A new scenario is developed. That is, a new scenario was written and Urmiyeh, Khoy, Salmas and Maku were added to the Armenian-devised “Great Armenia” map. The purpose was to establish an Armenian state in a major part of Turkey, in northern Azerbaijan and in part of Iran. 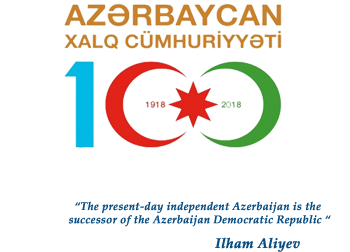 According to their plan, the state of Azerbaijan should not have existed. This program had been devised long ago and the measures envisaged in it are repeated periodically. The process has been continuing since the day when “the Armenian question” was first set in motion with the help of Britain, France and Russia, and western states still exploit it for certain objectives. And Armenians let themselves be used in order to gain something. As a result, they succeeded in establishing the Armenian state at the expense of Azerbaijani and Turkish lands. From 1914 to 1918, during the World War I, Armenians were fighting side by side the Russian troops. Russia was a member of the Entente Cordiale. And another member of this bloc – Britain intervened in Iran through Mesopotamia. The Ottoman-Russian hostilities in the Caucasus supplied Armenians with weapons and backing to massacre Turkic Muslims so that to grab their lands with the support of European states. Consequently, Armenians first with the help of the Russian weapons and then with that of the British weapons committed massacres in Khoy, Urmiyeh, Maku and Salmas (Iran) as well as in Baku, Shamakhi, Quba, Zangazur, Cavanshir, Cabrayil, Shusha, Iravan, like in Kars. 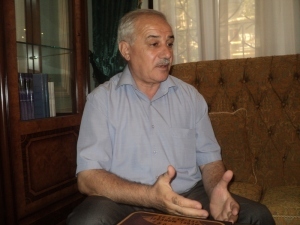 Despite his negative attitude towards the Azerbaijan history, Akhmad bey Kasravi admits that over 10,000 Turkic Muslims were massacred within a day in Urmiyeh. Both Persian and Azerbaijani historians have written about it. Both in northern and southern Azerbaijan, the Armenian crimes – pogroms and massacres – were parts of the same pattern. Does the modern Iran historiography research these events? Formerly, studies on the Armenian massacres on the territory of Iran were limited. Over the last 20 years, Iranian historians have written fundamental books on this event. By the way, these books have been also translated into Azerbaijani language, including “Massacre of Muslims on both banks of Araz” by distinguished historian Samad Sardarinian and the monograph “Kazim Khan Gushchu” by Mahbob Dadashpour. This book was also published in Azerbaijan with my preface. Though the paucity, the publication of books and monographs on these events has gone up, whereas previously they were almost non-existent. As a saying goes, murder will out. 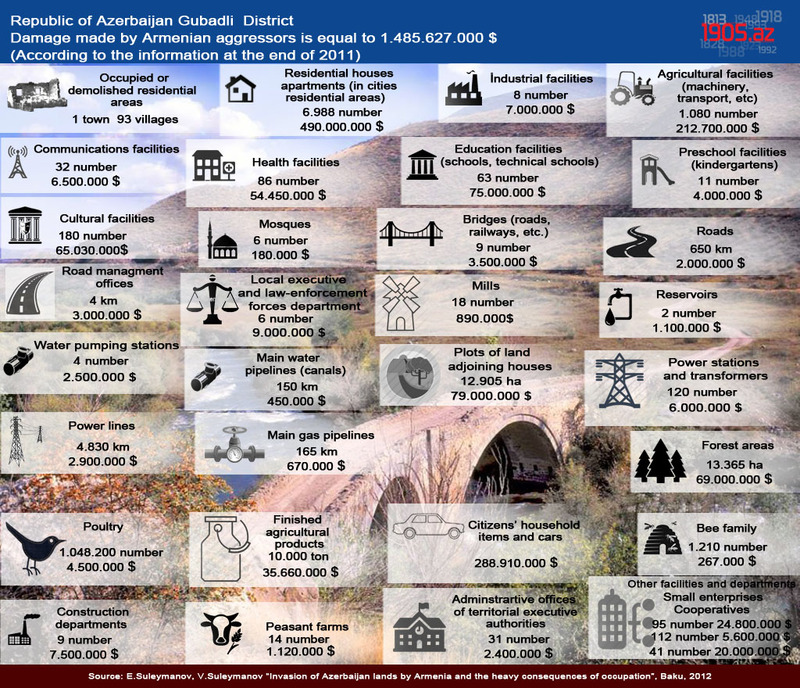 Crimes committed by Armenians are impossible to cover up. Vaqif muallim (mode of address) when these events happened, Russia and Britain had intervened in Iran. However, the official government of Iran was still functioning. What was the reaction of the official Iran to the massacres on its territory? Well, you made a remark to the point. Actually, this is quite an interesting side of the events. Mahbob Dadashpour in his monograph “Kazim Khan Qushchi” gave thorough analyses to the neutarlitry of the Qajar rule in Iran during 1915-1918ss. The Qajar dynasty was sort of dependent on Britain and Russia financially, militarily and politically and was unable to apply force. Although Iran had declared its neutrality during the WWI, a war was being waged on its territory. Of course, the Qajar government could have prevented the massacres, but this was neither in its interest, nor in power. Therefore, many Azerbaijanis took up arms and formed self-defense (militia) forces to protect themselves from the massacres. One of such a militia groups was led by the very Kazim Khan Qushchi. In the meantime, the Qajar rule was very weak and was under influence of Russia and Britain and this influence continued for a long time. Iranian historians were also admitting that the Qajar rule was very weakened and only maintained formal powers; they were sidelined from political processes. During the massacres, the government troops were not sent to protect own citizens. We would like to hear your recommendations for 1905.az website. 1905.az website has an extremely important mission. I was very pleased to hear about the launch of this website and I am also ready to always be conducive to its activities. I think you should work closely with the History Institute of the Azerbaijani Academy of National Sciences. 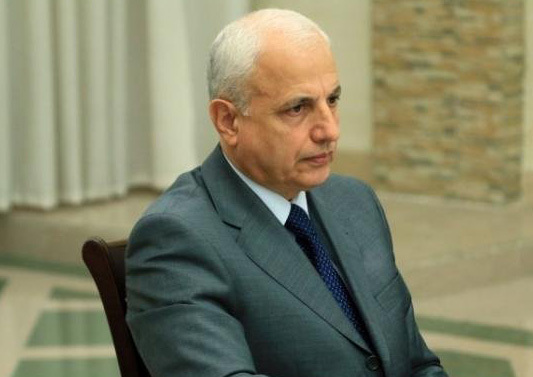 Under the leadership of the director of the institute, Corresponding Member of the Academy of National Sciences, Yaqub Mammadov, we have also published numerous books and documents on this topic. Moreover, spearheaded by Yaqub Mammadov, our researchers dispatched to Moscow brought back valuable materials from Russian archives on the Azerbaijani history. The establishment of cooperation with the History Institute would strengthen the activity of your website. I wish you the best of success.